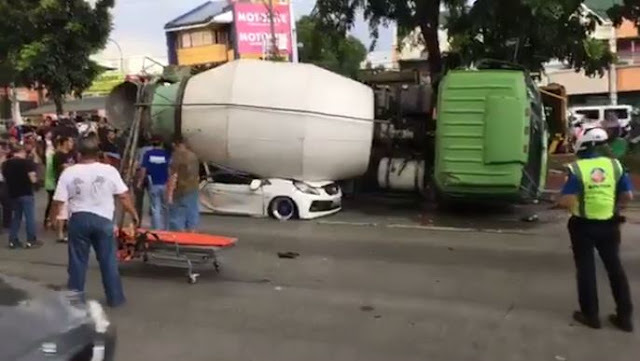 A cement mixer truck crushed a white sedan along Mindanao Avenue in Quezon City. 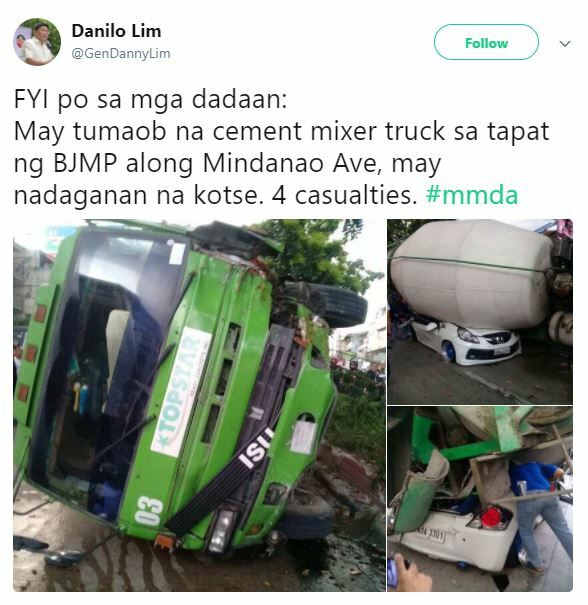 Huge transport vehicles such as a cement mixer truck usually use the road at certain times due to the truck ban required in selective areas. The truck ban lasts from 6:00 a.m. to 10:00 a.m and from 5:00 p.m. to 10:00 p.m. During these times, large vehicles are banned from cruising along city streets and main roads. 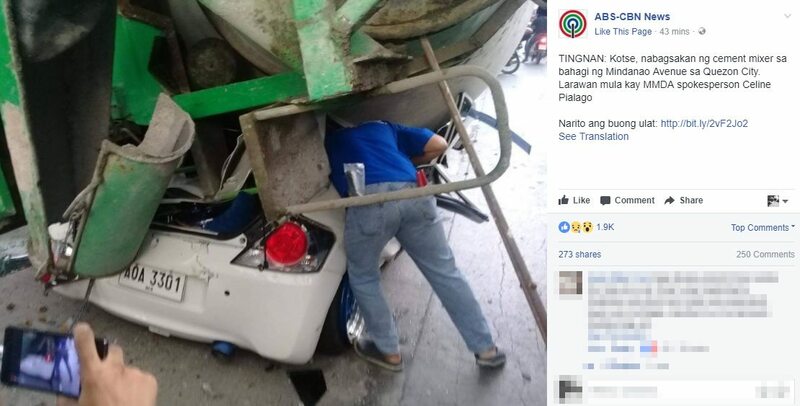 Unfortunately, a cement truck mixer neglected the truck ban when it drove along Mindanao Avenue, in Quezon City, creating an accident that reportedly took the lives of two people. According to a report by ABS-CBN News, the disaster happened on, August 15, 2017, sometime in the afternoon. The source stated that the truck tilted over sideways in front of the Bureau of Jail Management and Penology, smashing the white sedan beside it. 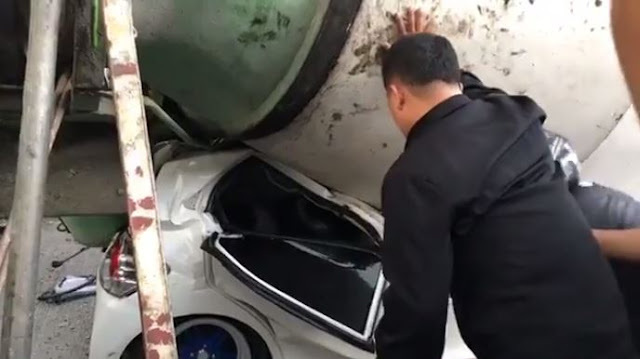 As of press time, officials are still examining the cause of the accident. They are also determining why the truck was passing Mindanao avenue while the truck ban was still in effect. 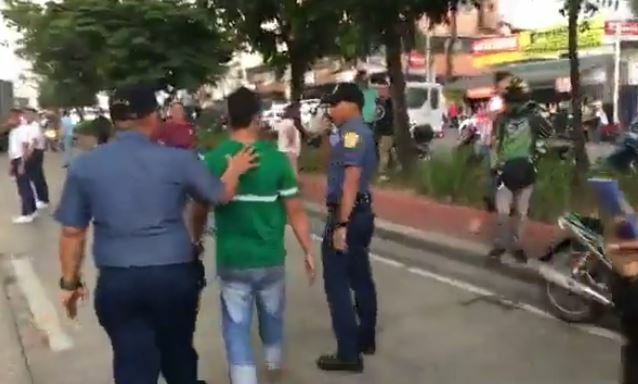 The truck ban affects EDSA Magallanes to North Avenue, in Quezon City every day, except for Sundays and holidays. 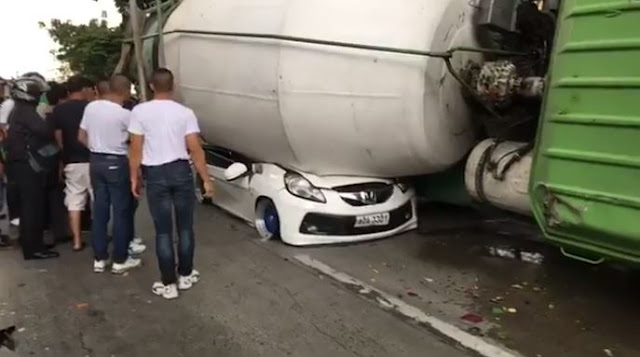 Based on the area of the accident, the cement mixer truck should not have been driving along that road during that particular time. 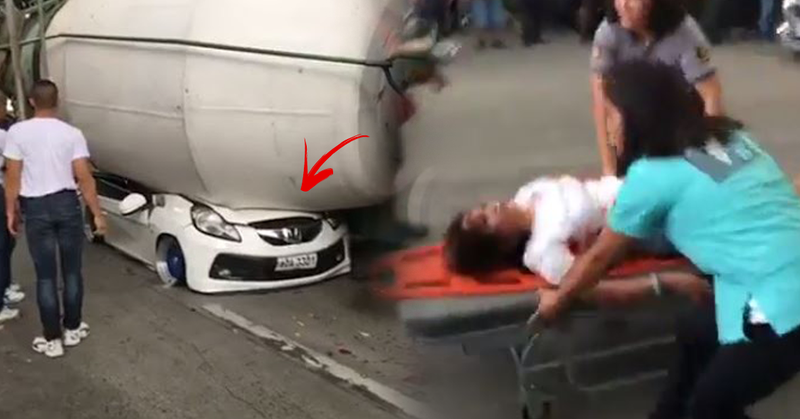 The report presented a Tweet from Danilo Lim, who shared that there were four people who are considered casualties of the accident. He posted his tweet at 5:14 p.m. today. His tweet confirmed that the cement mixer truck crushed a white Honda Jazz. 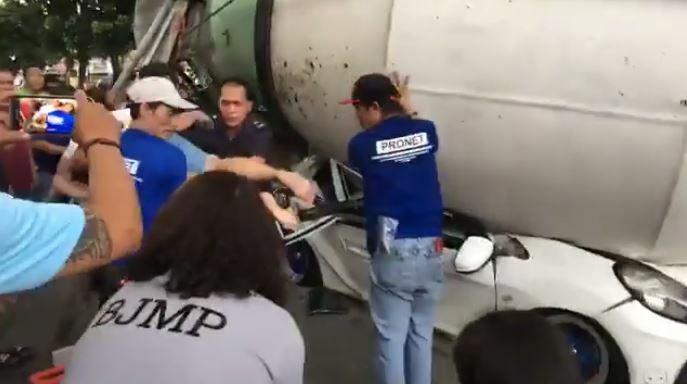 “One person was killed while four others were severely injured after a cement mixer truck crushed a sedan traversing Mindanao Avenue, Quezon City on Tuesday, an official said. The driver of the sedan was declared dead at 7:32 p.m., the North Medical Center and Hospital said. 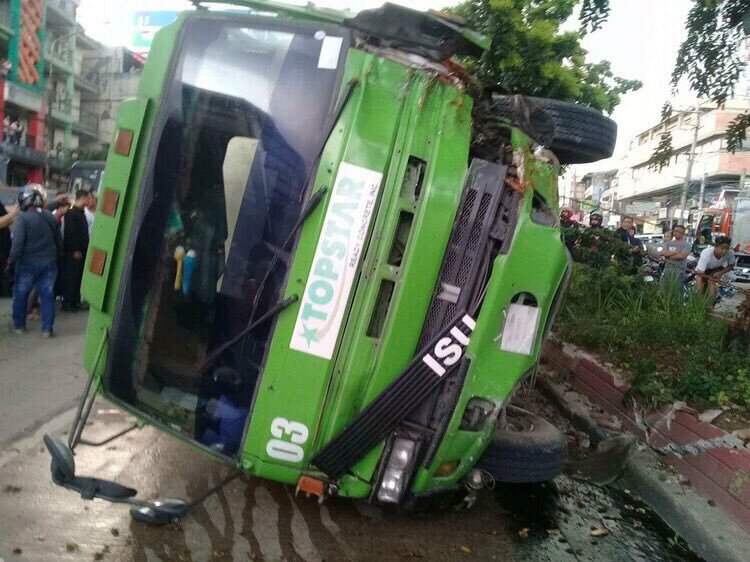 Three passengers brought to the same hospital are now in stable condition.